There was joy in the air as I walked the neighbourhood this morning. A woman singing as she walked along Jambo. A gardener raising a tune as he worked the fringes of Chandawali. Big smiles from the man pushing his wheel-barrow down Kenyanta, dodging the potholes. But of course! It’s Election day! Zambia will have a new President tomorrow! The people’s choice! You can sense the whole country pulsating with excitement over this. Everybody feels so good! This is about a free and fair election, such a rarity and a novelty in much of the world! No one would think about missing the opportunity to vote! In fact, some of our students will spend $50 dollars and take an overnight bus, just to cast their ballot in their home town! 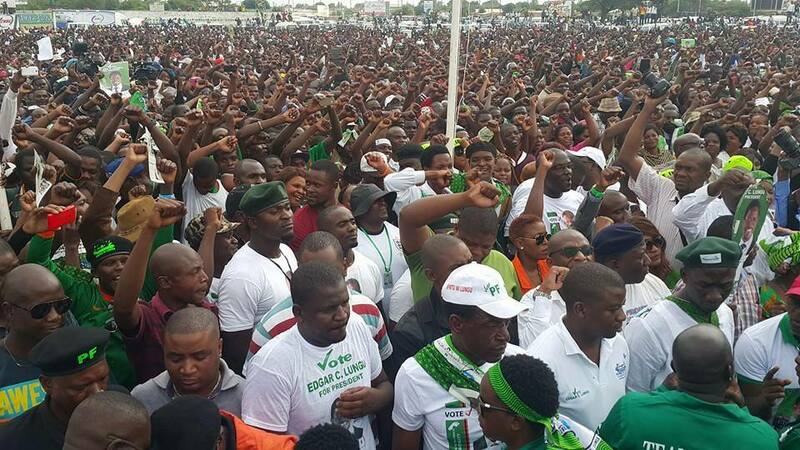 We have a slate of a dozen or so serious candidates, each representing their own party: Edgar Lungu, a lawyer; Hoachim Hichilema, a businessman and entrepreneur; Nevers Mumba, a former pastor-evangelist…. It’s wonderful to see the Democratic process unfold in these campaigns. You don’t need a fortune to run. You can give a speech wherever you find a vacant podium. Captivate enough enrapt hearers with some inspired oratory, build your national party — you’ve got a chance to win! Basic democratic process. Most important, people can vote for whoever they want in Zambia. Nobody gets pushed around, bought or intimidated. How special is that? With all the would-be czars and half-baked dictators in our world? No wonder half the country is singing! In fact, singing is a national distinctive in Zambia. We sponsored a recent music and worship workshop and were rocked by the sound of a hundred praise and worship leaders from across our District. Theme song for the event was “All the Praise Belongs to God!” We ended the day with a mass choir which really brought that song to a climax — and the crowd to its feet! As for the local church, we visited a newly-planted assembly — complete with a maxed-out keyboard and sound-system. We were amazed at how a young couple had turned the most humble, house of God into a very attractive sanctuary in their first year. Their praise team filled Chimwemwe with the songs of worship sung by God’s people world-wide. Yes we have much to celebrate! There’s a song in the air! The Lord of the Church is alive! He is transforming people!